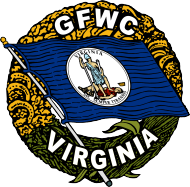 To help young women attending high school in the Williamsburg area obtain a higher education so that they can take up the mantle as future leaders, The Woman’s Club of Williamsburg-GFWC will award up to three $1,000 scholarships to female seniors that are graduating in June 2019 from Lafayette High School, Warhill High School, or Jamestown High School (all in Williamsburg-James City County VA) or Bruton High School (in York County VA). Applicants must have been accepted for attendance at an accredited four-year university or college. Awards will be based on high academic standing, demonstrated leadership ability, extracurricular activities, and submitted recommendations and essay. To apply, download the attached application and submit all required information by midnight, April 22, 2019. Applications and information are also available from high school counselors.